Katie and her TAs holding a gift from their students. Eliza has been acting since she was 11, and directing and teaching for almost 20 years. Credits include: AWITC’s Rabbit Hole (Izzy), The Melodramatics Bare (Claire), Nice Girls Films Poker Face (Janet), No Fare (Jennie). Directing credits include: AWITC’s My Name is Rachel Corrie starring Asia Katie Dillon, Hatshepsut the Female Pharaoh starring Esosa Edosomwan, Love, Loss and What I Wore and was Assistant Director, and later an actor, on Becky Lane's popular webisode series, The Chanticleer. Eliza's students have found great success, performing all over the world. In addition to working at AWI, Eliza combines her fascination with physicality/voice and her love of socio-political research as CEO of her presentation firm: VanCort Consulting. She runs seminars, giving talks and coaches remotely throughout the world, helping people with public speaking, mentoring, and job interview skills. Check out her TEDx to learn more. In her spare time Eliza is a casting director and producer. (She most recently cast the acclaimed feature film The Manhattan Front, and is currently a producer on the feature film Stationed At Home.) She also serves on the Board for Performing Arts for Social Change and is a Cornell University Cook House Fellow. In addition to being a graduate of AWI, Katie has been a Meisner technique instructor since 2005 and was appointed Co-Director of AWI in 2012. Katie has worked with just about every theater group in town in one capacity or another; her favorite role to date was Becca in the AWITC production of Rabbit Hole in 2010. 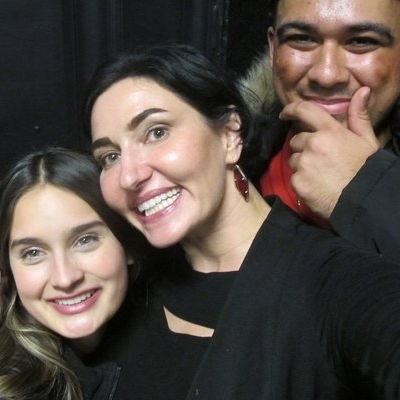 She was recently onstage at the Kitchen Theatre in 2016 in the Homecoming Player's production of Sarah Ruhl's In The Next Room, as well as acting in Ithaca’s first 1 Minute PlayFest in July 2018, also at The Kitchen Theatre. She has taught several acting seminars at Ithaca College, and has done local and regional voice over work and has appeared in several short films. From 2000-2015, Katie was the owner of evolution 102 and avanti boutique, two clothing stores in downtown Ithaca. In 2016 she joined the Cornell University community, finding her new home at The Cornell Store as their Retail Manager of Satellite Stores. To learn more about Katie's journey to AWI, go to this NPR radio show. A long time Ithacan, David graduated from Ithaca College’s Park School of Communications with a degree in Cinema Production. As an editor and videographer at PhotoSynthesis Productions he has worked on numerous film and video projects, including editing documentary, They Call it Myanmar: Lifting the Curtain. Read the New Times article about the award winning documentary. David recently completed an educational project for the FDA on meta-cognition and is currently working on a new documentary focusing on Cambodia. After studying under and apprenticing with Eliza, David has been an instructor at AWI since 2008 and has directed several stage productions for the Workshop’s theater company. Ariel sharing her amazing voice! AJ (right) next to former TA James Comfort. AJ has been active in the theatre since 2012, most prominently as a member of the Ithaca Shakespeare Company, and as a teaching assistant with AWI since 2016. Favorite roles have included Don Pedro (Much Ado About Nothing) and Thomas Mowbray (Richard II). AJ created the role of James Watson in Judith Pratt's Maize earlier this year and also starred as Frank in The Gap at IATI Theatre in New York. A playwright, his one act play No debuted at the Ithaca Fringe Festival in 2015 and he has written a compendium of 10 minute plays for his students' showcases at AWI. Elsewhere, AJ is the roastmaster for Copper Horse Coffee and tries to not catch on fire more than once a day. Alek on an AWI production set.